Raffaele is an entrepreneur, advisor, and executive with 15 years of experience in the Hospitality industry. He initially began his career working at reputable Toronto establishments until he began managing for large Hospitality leaders. 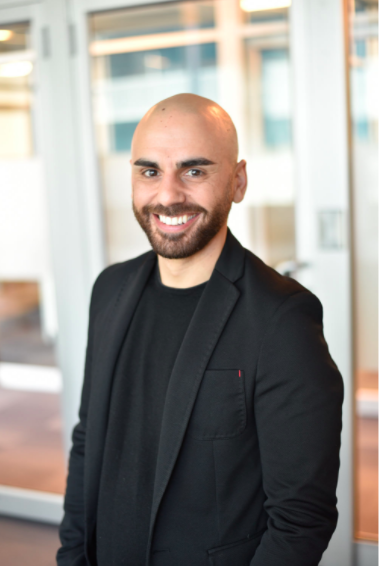 Raffaele oversees all aspects of business development, client relations and recruitment/training, focusing on expanding Leave it T.O. us operations around the GTA. With a strong entrepreneurship spirit, Raffaele has connected and worked with hundreds of the cities best leaders in the industry. Eva was literally born into the Hospitality industry. With parents who have always owned and operated restaurants, Eva was exposed to the industry at a very young age. After graduating with a Bachelor's degree in Psychology and a post-graduate diploma in Behavioural Science, Eva quickly learned that her passion laid in her roots of human behaviour and hospitality. She quickly put aside her dreams of becoming a psychologist, as it was inevitable that she would find her own way back to the industry that helped shape her into the entrepreneur that she is today. Eva's role with Leave it T.O. us changes day to day, but most of her focus lies within team building and client relations.